Today the spotlight falls on Philadelphia-based creator and publisher Pat Aulisio. Pat has a very distinctive, line-heavy style that is easy to spot at a table. He works in abstract forms, the more raw-edge of comics (sometimes in partnership with Josh Bayer), and can even putter a stoner comic together that I actually enjoyed, which no mean feat. More recently, Pat has expanded the amount of publishing he does with Yeah Dude Comics to include a subscription service, which delivers roughly two comics a month right to your doorstep, a particularly handy feature for those who have moved away from the East Coast comics scene or who cannot attend shows like SPX for whatever reason. You can find my reviews of the first two batches of Yeah Dude Comics here. I had a preference for the first group, but as you can see, there's a definite variety in the nature of the comics offered, a sign of a good editor/publisher. 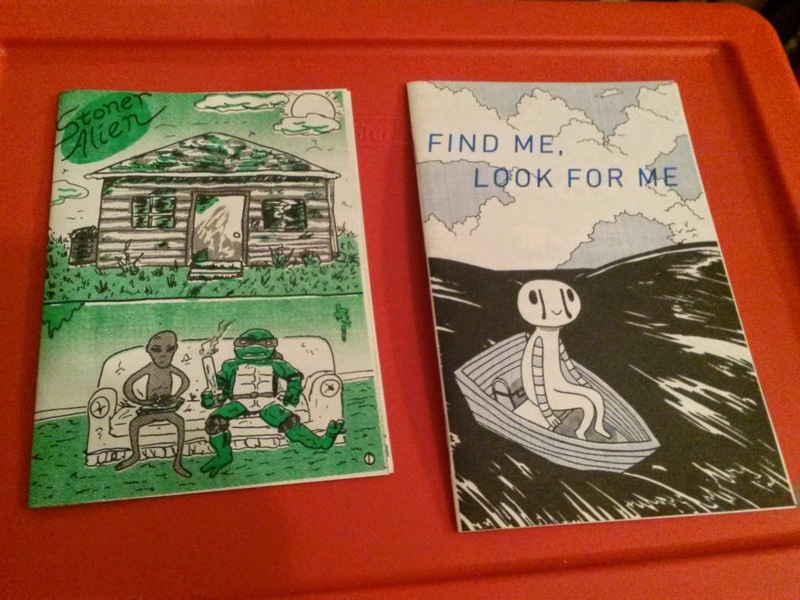 Several comics from the Yeah Dude Comics subscription service, including work from Aulisio, Laura Knetzger, and Box Brown. 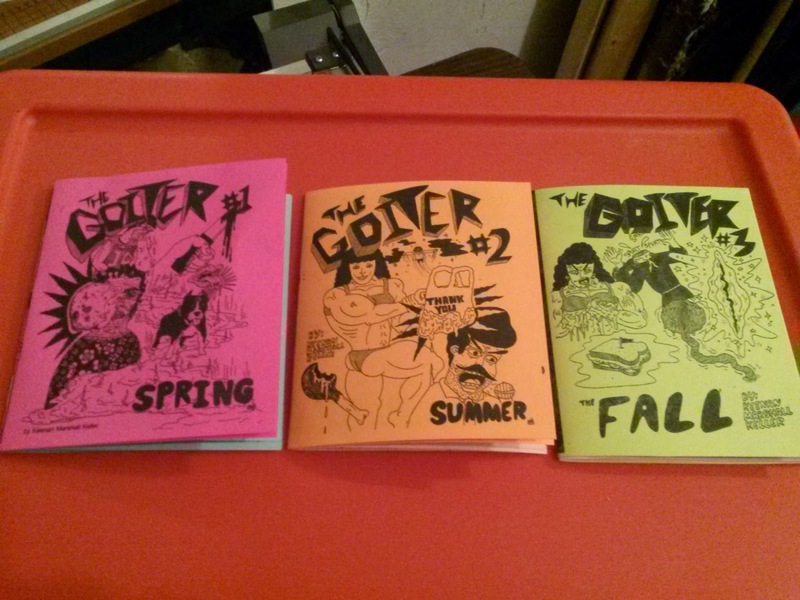 The Goiter Trilogy by Keenan Marshall Keller, which Pat describes as "a crazy roadtrip similar to the ideas the weird kid in middle school would tell you about all the time." An untitled 8-page zine that Aulisio made when teaching a class on zine-making. He also also have another short comic, perhaps more adventures of the Stoner Alien(!! ), and a pinup book relating to his work Bowman that features friends of his giving it their own unique take. Anyone looking for new mini-comics to explore that isn't already familiar with Pat or those in his artistic orbit definitely need to check him out at SPX. Because they aren't on the website yet for sale, this will be your only chance to pick up some of these comics! Can't make it to SPX? Me, either. Go visit Aulisio here, and bug him to get his comics for sale online again!